Jevers traditional brown rustic boots. These striking brown men’s ankle boots are ideal for Oktoberfest. 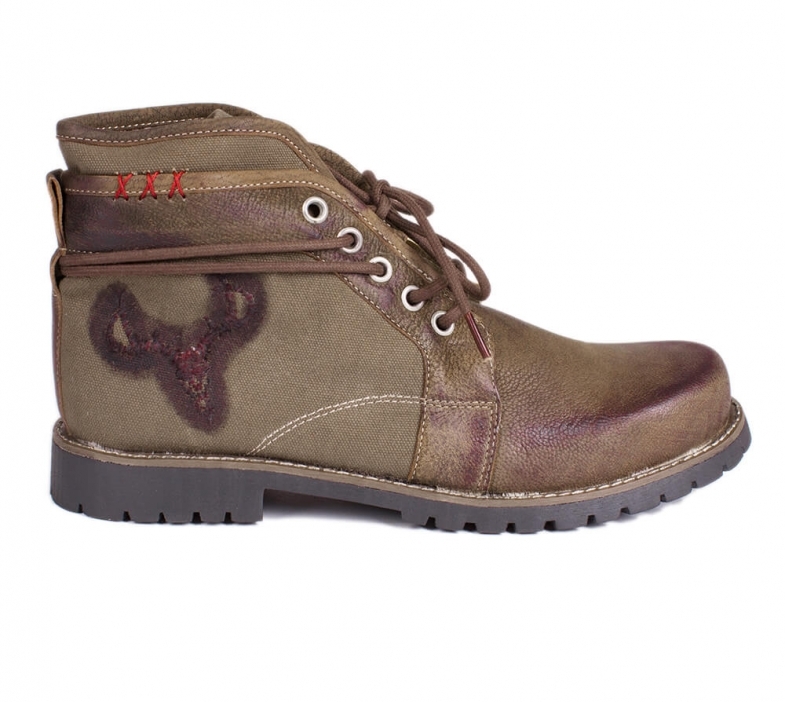 Made from 100% leather, these ankle boots are extremely comfortable and durable and feature classic lacing up the front with striking red stitching adornments to really make them stand out, while a contemporary and very noticeable deer head motif adorns the sides.